Ayyy! Fugetaboutit! I got yer egg cream right here! In the hand that is wearing my Diefendorff watch, a new $949 timepiece from a real Brooklyn watch house. The watch, which comes in multiple styles, shines brightest when comes with a carbon fiber face and brightly polished steel case. Called the 1776 Design, the watch is slightly reminiscent of a Patek Nautilus but without the odd case design. I found this thing to be quite well-made and handsome. 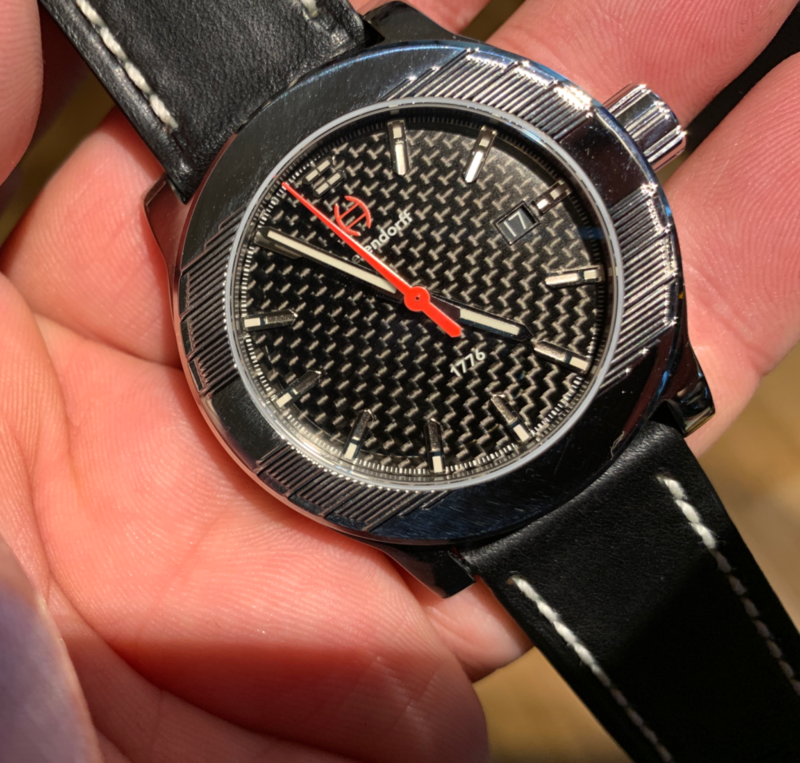 I think the engraved face – basically a series of lines that give a little bit of interest to the overall design – is a bit incongruous but if you’re into bigger three-handers with some carbon fiber class. The entire watch is very well made and delightfully solid. Given the American pedigree it’s well worth looking at if you’re into Brooklyn design with Swiss guts. The team at Diefendorff also makes the watch with a less flashy, single-colored face. Anyway, if you’re headed over to Prospect Park and want to stop off at the old Grand Army Plaza, you could do worse than have one of these on your wrist plan to meet your buds at Tom’s Diner.